Before you recycle your microwavable tray, rinse it out because food is a contaminant in plastic recycling. Frozen dinners can be more expensive than preparing that same meal by hand. To save on money and time, consider making dinners in bulk at the beginning of the week, which helps reduce how much waste that’s generated from frozen dinners. See these helpful tips. 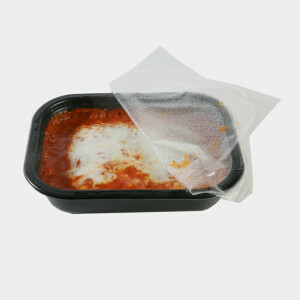 Recycled plastic can now be used to make frozen food trays. ConAgra Foods and Associated Packaging Technologies partnered to use a new technology that cleans recycled plastic. Before this technology was available, regulations limited companies like ConAgra to only using new plastic for food trays.